The Mayan people are of the Mesoamerican civilization. They have a fully developed Pre-Columbian language, were advanced in sciences such as math, art, architecture and astronomical systems. Many Mayan cities reached their highest state development during the Classic Period and continued to rise throughout the Post Classic period. At one point, the Mayans were the most densely populated society of the world and dominated the cultural dynamics of the societies that existed at that time. 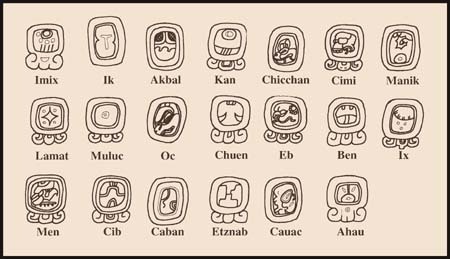 The Mayans have many of the same features as other Mesoamerican civilizations because they were interactive with each other. The Mayans developed writing, epigraphy and calendars that did they did not originate. Mayan influences can be detected from Honduras, Guatemala, Northern El Salvador, and as far as central Mexico. You can see influences from other places in their art, and architecture. The Mayan people didn't disappear. The arrival of the Spanish conquistadores and colonization of them affected their declination. 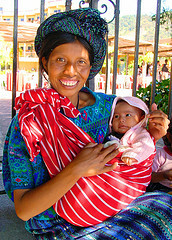 You can see many Mayan people living in modern cities today, throughout the area. 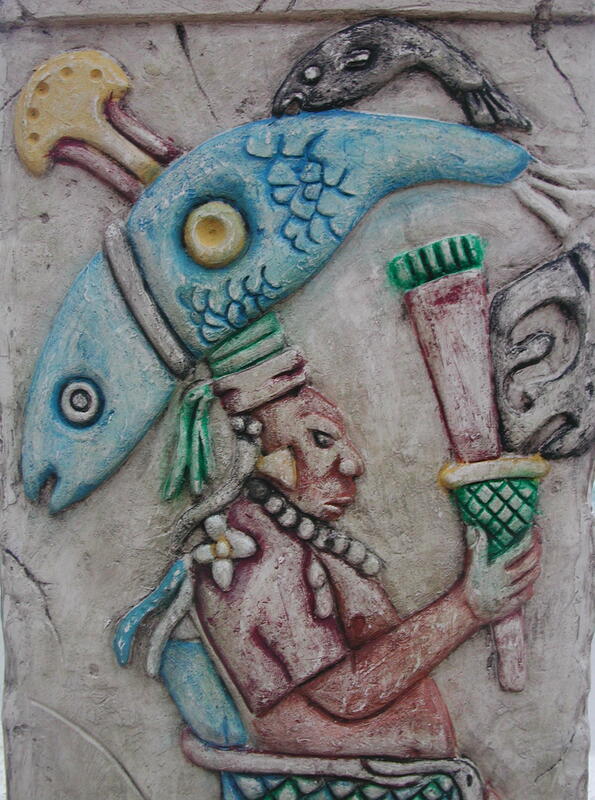 Modern Mayans still maintain the distinctive set of traditions and beliefs from their old cultures, combining per-Columbian and post Conquest ideas. Geographically, they lived from the Sierra Madre mountain region to the semi arid plans of the northern Yucatan. There were three defined zones; Mayan highlands, the central lowlands, and the northern lowlands. The Preclassic period initiated around the 10th century. They created huge monumental structures during this time. 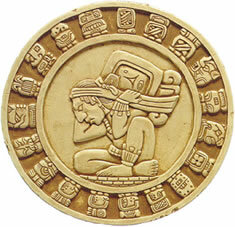 They developed the Mayan calendar, based around the "Mesoamerican Long Count Calendar. This calendar begins on August 11, 3114 B.C. 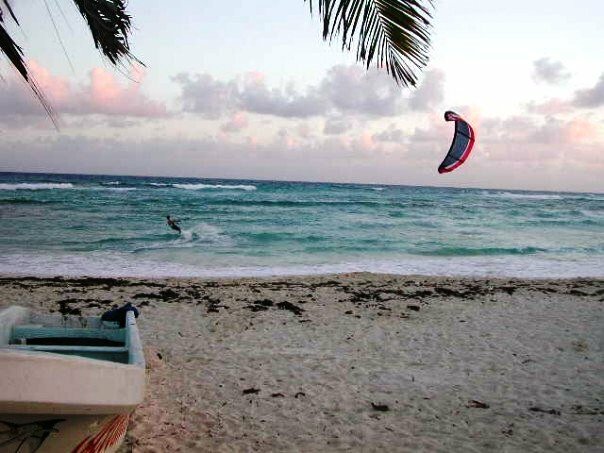 The Mayans have been around since 1800 BC, in the Pacific Coastline. These people were sedentary, creating clay pottery and figurines. The Classic Period brought large scale construction and significant intellectual and artistic advancement. They developed agriculture, and politics. During this time period, some of the great cities that still exist today, were developed like Tikal, Palenque, Uxmal, Copan, Bonampak, Altun Ha, Uaxactun, and Calakmul. 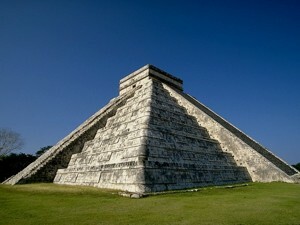 Most of these monuments include the stepped, steep pyramids, as seen in Chichen Itza. They housed their political and religious leaders in these. Cancuen had one of the largest palaces in the Mayan world, but today, lacks any pyramids. The city was a major trade center for jade, pyrite, and obsidian. The palace covered 23,000 square meters and had over 200 rooms. The city had two ball parks, marketplaces, and a dock. These people had their religious sites far from the city, near the mountains. One of the most interesting finds here is the city's ruler of the day, Kan Maaz, was executed and dumped into a cistern. To historians, this leads them to believe that it was connected to the massacre from the upheaval caused by the collapse of the Mayan Civilization in 800 A.D. The site was virtually undiscovered until 1905. They thought it to be insignificant until 1967, when they uncovered the largest ruins of the Mayan world. This palace was a maze of hundreds of rooms, high 20 foot ceilings and covered 3 square miles. It is still unknown exactly why the Mayan centers declined in the 8th and 9th centuries and finally abandoned. The non ecological theories are overpopulation, foreign invasion, peasant revolt, and the collapse of the key trade routes. Ecological theories include a meteorite shower that hit the area, or another environmental disaster, epidemic disease, and climate change. There is proof that the Mayans exhausted the agricultural capacity, and overhunting. There is evidence that there was a 200 year drought that may have lead to the demise of the Mayan civilization. The Colonial period began when the Spanish attempted to subjugate the Mayans who were hostile towards the Spanish. They established most of their presence in the Yucatan peninsula and Guatamala. It took the Spanish over 170 years to finally establish control over the Mayan lands. One of the reasons it took them so long to conquer the Mayan lands, is because the Yucatan was not rich in minerals, like other areas like central Mexico and Peru. The Spanish destroyed many Mayan relics, texts, and the knowledge that the Mayans had already recorded. The texts and their knowledge of writing disappeared. Only three per-Columbian books have been preserved. The last Mayan settlements, Itza and Ko'woj, city of Zacpeten, were the finally under Spanish rule in 1697. The arrival of the Spanish changed everything. 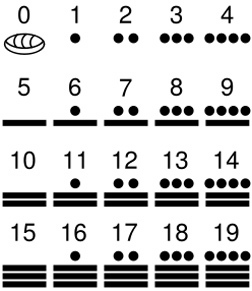 The Mayans had a sophisticated numerical sequencing, using the dot, bar and Shell. This evolution of math took place independent of knowledge of numbers from Europe. This was the most efficient place-value system, over the Hindu and Arabic numbers. This system was used since the Pre-Columbian American. Pitz is the ancientMayan ballgame. Visitors will enjoy a re-enactment in Xel-ha evening shows, at Chichen Itza and other tourist sites. 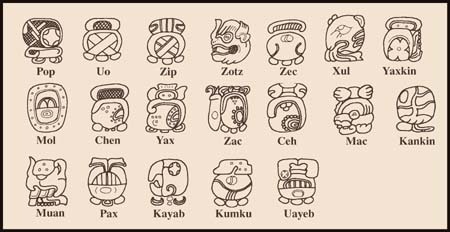 The Maya year is divided in 19 months, they are designated Uinal, each has a name and a corresponding glyph. Of these months, the first eighteen have twenty days and the last one, called Uayeb, has only five. The days within a month are numbered from 0 to 19 with the exception of Uayeb which is numbered from 0 to 4. 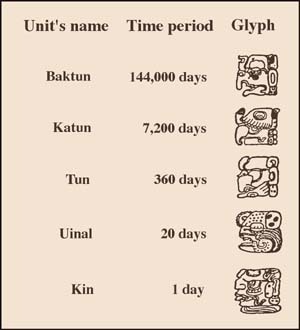 Using these glyphs combined with numbers, any date can be written as the number of days that have passed since the beginning of the calendar. The Maya wrote their dates of importance in stone monuments called stelae some of which we can still see today. 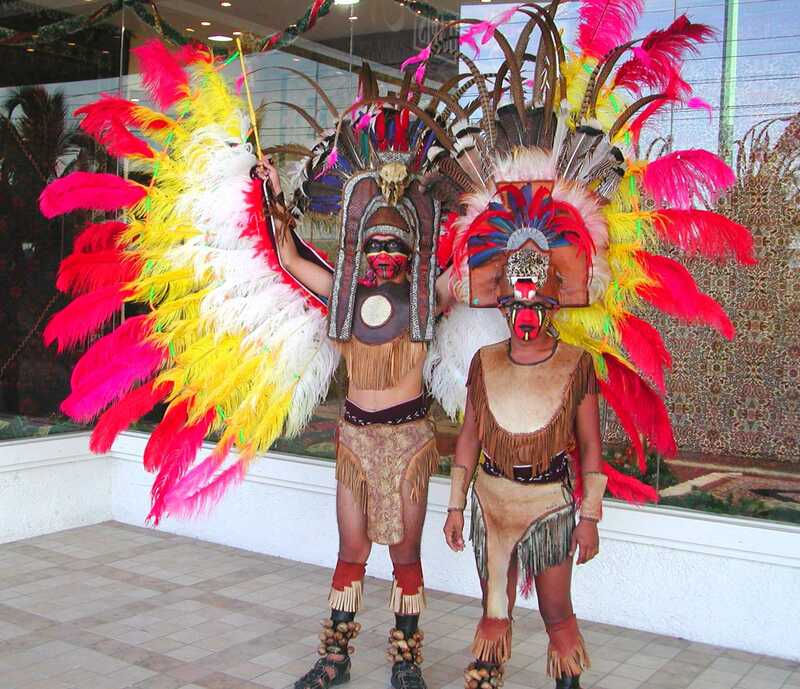 Best website about Cozumel with LOTS of information about the Mayan Culture. 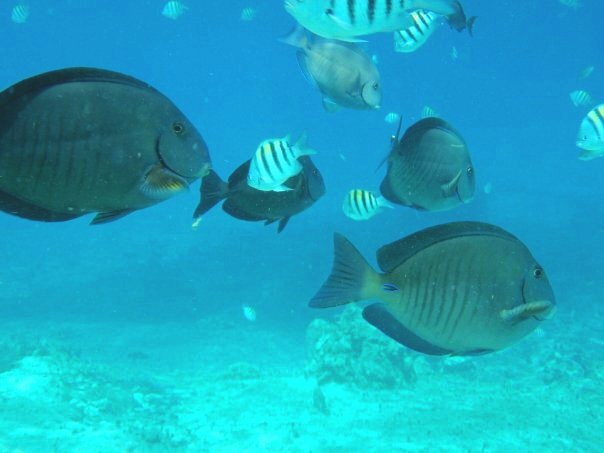 Search through the website so you can read more about Cozumel and the surrounding areas. 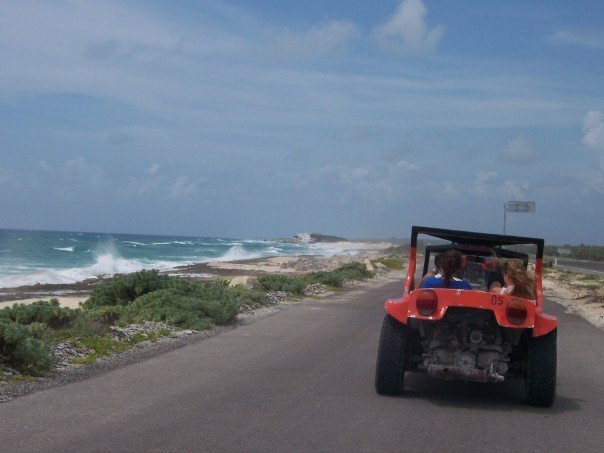 We offer vacation homes, restaurant tips, scuba diving and snorkel adventures and the best tours on the island!